Congratulations to the team at SocialBro. We are heavy users at the Forsyth Group and love the product! hy! brings together 150 creators who push boundaries in technology & media. They will engage in powerful dialogue in a laid-back atmosphere while discovering Berlin. Attendees will include Charles Adler (Kickstarter), Jawed Karim (YouTube), Renaud Visage (Eventbrite), Travis Kalanick (Uber), Francis Pedraza (Everest) and many more. This summer, hy! welcomes special guests including young entrepreneurs and high profile players in the national and international start-up scene as well as the leaders of European businesses and politics. The three-day event commences on Sunday, June 2nd with a live show for the public, and then becomes an invitation-only summit for 150 pioneers of the start-up scene. From June 2nd to the 4th hy! Berlin’s main focus is the creative digitisation of the European ecosystem. 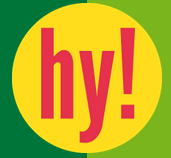 The diverse program of the opening show on Sunday reflects this principle and offers the audience not only captivating discussions, but also the trademark hy! start-up competition, including new and innovative industry players.